Let's all celebrate - Lebanese Army has learned to do a film without resorting to propaganda. All while conveying a beautiful message across. First, watch the film here. 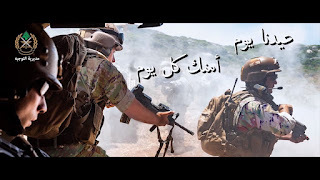 The message is clear - by alternating army shots with regular life in Lebanon, the last punch of the message "our feast is a matter of one day, your security is a daily matter" - the message comes across clean, smart and right to the bottom of it. I am severely impressed.